Career Overseas provides excellent study abroad opportunities in Cyprus! The international dimension of education is pivotal in Cyprus and the international students can get a high-quality education in a safe and a secure environment at a nominal expense. Extensive networks and lifelong friendships are there between the overseas students and the Cypriots that increase the cultural and trade relationships between the nations. Cypriots provide great education standards and skills to work in a worldwide marketplace. The education standards in Cyprus are second to none. 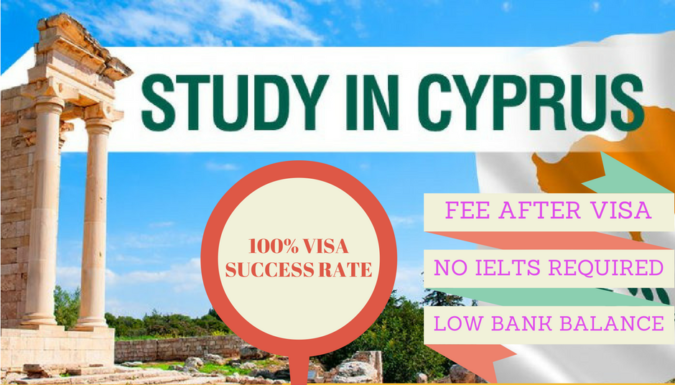 To study in Cyprus is a nice aspect to do and one can learn and imbibe a lot of things in Cyprus. In Cyprus, students get ample chance to study their courses. English is the major language for instruction in Cyprus. Students will get a world-class degree that is recognized all over the world. Part-time work is allowed to the students who possess a work permit. The students will have the chance to work during the semester up to twenty hours per week. The food in Cyprus is affordable and has a great variety of fresh fruits, vegetables, meat, and fish. The cost of living in Cyprus quite affordable for all the foreign nationals. It is a great destination for the international students due to its affordability and low costs. in order to know more about the cost of living and other aspects in Cyprus, contact us. Cost of living is very nominal in Cyprus and this can range from Euro 100-120 per month. Part-time work is allowed after six months’ settlement period. To work and study in Cyprus is relatively easy and one can easily cover up the cost of studying by working part-time.